ในปี 1985 ได้พบเพื่อนเก่า Paul Heaton และได้ชักชวนให้เขาร่วมอยู่ในวง The Housemartins วงนี้มีเพลงฮิตอันดับ 1 อย่าง "Caravan of Love"
I Think We're Gonna Need A Bigger Boat (2009) #156 UK (as The Brighton Port Authority). 2000 Signature Series Volume 1 Songs Remixed + produced by Fatboy Slim/Norman Cook. 2000 The Fatboy Slim/Norman Cook Collection Songs Remixed + produced by Fatboy Slim/Norman Cook, US release. 2000 Essential Selection Vol. 1 Disc two is a mix album by Fatboy Slim. Disc one is a mix album by Paul Oakenfold. 2001 Halfway Between the Gutter and the Guardian Free Promo (FAT11CD) with The Guardian. 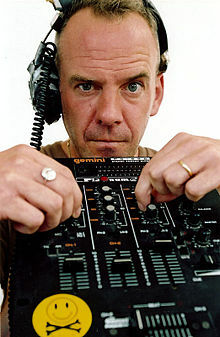 2006 The Ultimate DJ Sample Box Disc two is a collection of samples by Fatboy Slim. Disc one is a collection of samples by Paul Oakenfold. 2007 Late Night Tales: Fatboy Slim A Compilation of some of Norman's favourite songs from years gone by. Also contains a remake of the Kraftwerk song, "Radioactivity". 2003 "Can You Dig It?" (remix) The Mock Turtles The Best of the Mock Turtles. หน้านี้แก้ไขล่าสุดเมื่อวันที่ 13 กุมภาพันธ์ 2561 เวลา 02:59 น.